Applicants are reviewed by a representative of the Federated Youth Foundation, and judged on leadership skills, scholastic achievement, extra-curricular activities, motivation, and academic and personal goals. To be eligible, the student or the parent is an active patron member of United Cooperative; the student must attend an accredited college, university, or technical school in 2019-2020; and the student must maintain a GPA of 2.0 or above on a 4.0 scale at their chosen school. 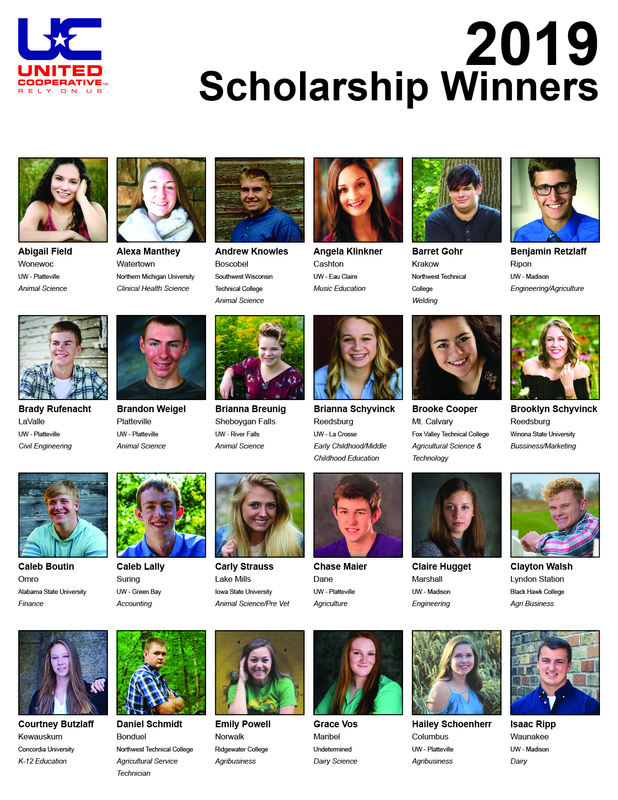 Since the program’s inception, United Cooperative has awarded $1,000 scholarships to over 368 Wisconsin students furthering their education. “Each year we receive many applications from many talented people for this prestigious award. We started the scholarship program in 2008 to support students and their development for future careers in the communities where we do business. 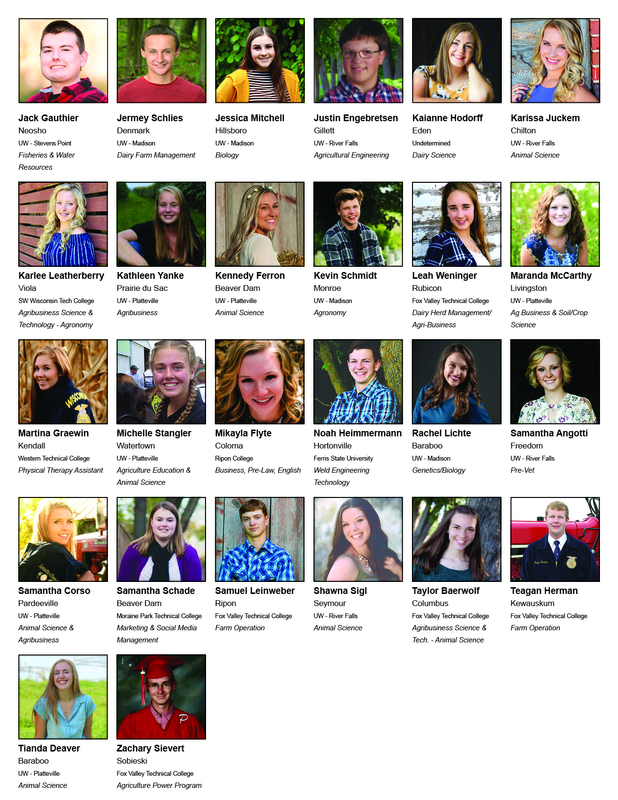 We believe in supporting these young adults and are hopeful some of these students will seek careers in Wisconsin agriculture and the businesses that support agriculture, or become part of the fabric that makes up our great communities throughout the state".